I was born in the small town of Wigan, Lancashire which is best known for its Rugby League and Pies. If you'd have asked me growing up if I was going to become a Photographer, Director and Director of Photography who would end up working in the film and TV industry, travelling the world and becoming part of iconic feature films, pop videos and award winning documentaries, eventually exhibiting my stills work in major galleries along with being published and commission by major brands I would have laughed. But that is what I have become and I feel very privileged to be able to put my creative and artistic vision into the still and moving image. I love the trust that the client puts into me to capture the essence of their vision and the close relationship this forms. Once I left school it was a case of following the norm… get a job and bring the money in for several years. However, I quickly realised that I had more to offer and was doing myself a disservice. So, I put myself through college and gained the qualifications I needed. My Uncle gave me his old Nissan Sunny for £1 and I packed the car, said goodbye to my Mum and drove to London to follow my dream! I became David Odds’ (renowned Director of Photography) camera assistant for two years working on top dramas and feature films in 16 and 35mm - working with actors such as Dame Maggie Smith, David Jason and Daniel Craig. David knew I was a talented still photographer because I showed him my portfolio to get the job. I formed relationships with the directors, actors and producers to take stills of them making the movies and doing publicity. 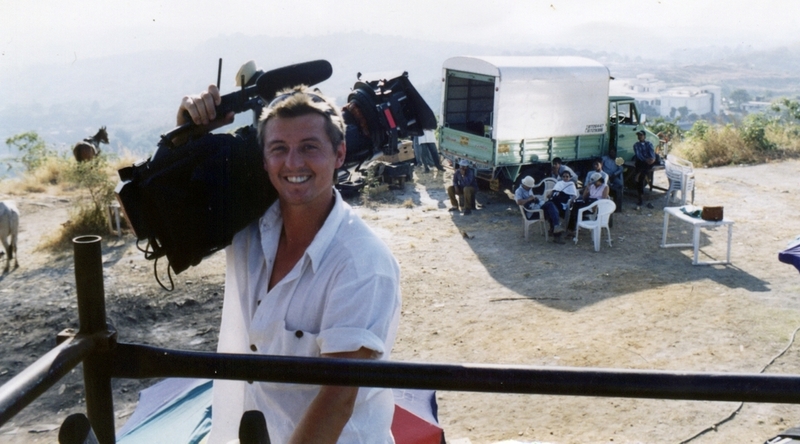 After leaving David I worked freelance as a camera assistant working on films such as Bridget Jones Dairy. My heart leans toward documentary and documentary drama and I quickly became the camera assistant and second camera operator for the top cameramen still working in 16mm film, Roger Chapman, Steve Robinson, Mike Elley and directors such as Angus Macqueen, Jane Treays,,Dan Reed and Leslie Woodhead. Whilst working on these great projects in the most amazing places this is where I decided to seek out the style of stills photography I wanted to ultimately produce. What made that was spending 16 months in a village in Romania with Angus Macqueen and Roger Chapman making the awarded winning Documentary "Last of the Peasants". It won 2 RTS Awards (best production team and best photography). I walked around that village over the 16 month period with my two Canon film cameras and my Bonica and gained the trust of the village. The body of work I produced was special and a big turning point for me. The work was exhibited in London and sponsored by Channel Four being used to promote the film in all national press. Lucy Blakstad rang me to shoot 2nd camera on the Imagine program with Carlos Ascosta..Then from there I became a cameraman working on documentaries, pop video and dramas. If you asked me why I became an image maker, it’s because the time I spent as a glass collector in a labour club in Wigan at the age of 14, listening to all of the pit men tell their stories. I loved listening to them. I wanted to capture and share all of those moments using still or moving image. That’s why I try to be honest using realism, mystery and emotion to tell a story through lighting and composition. If you ask me which film has influenced me the most it would be Kes and the artist I have most in common with is Caravaggio.